A pot of water boils over a hot burner on the stove. Sunshine warms your skin on a breezy day. Heat is warming things all around you. But what exactly is heat? And how do things become warmer or colder? Read this book to find out! Learn all about matter, energy, and forces in the Exploring Physical Science series—part of the Lightning Bolt Books™ collection. With high-energy designs, exciting photos, and fun text, Lightning Bolt Books™ bring nonfiction topics to life! 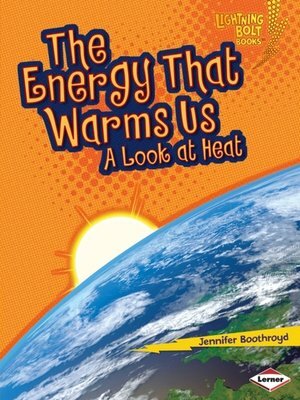 A former elementary school teacher, Jennifer Boothroyd has written many nonfiction books for children.